SECOORA is honored to announce the 2019 SECOORA Data Challenge winners. It was not an easy decision. There were many innovative submissions that used web camera data to solve problems. The two projects chosen clearly communicated benefits to specific user groups, expanding prospective use of web camera data for environmental monitoring. As the coast becomes increasingly populated, accurate models for wave run-up and dune erosion have become a necessity to ensure coastal communities can be prepared for hazardous events. The SECOORA WebCAT footage provides the opportunity to monitor water level throughout an ensuing hazard, providing continuous data about the maximum water-level and insights into storm processes. The cameras allow dune-erosion to be determined without a reliance upon before-and after event surveying. This project addresses the need for accurate coastal hazard data to build and further validate hazard models by developing an algorithm that will automatically identify maximum water-levels at hourly intervals for any WebCAT footage to determine if wave run-up reached or breached the dunes, how many times the water level reached the duneline, and the duration of a dune erosion event. The algorithm developed is expected to be applicable to the large number of existing webcams along the coast which were originally intended for surf or weather monitoring. The outcome of this project will generate methods and datasets that scientists and agencies can use to further validate coastal hazard models. Specially-designed camera systems have been used for decades to study coastal morphologic processes such as shoreline change rates. However, the large existing network of web-cameras setup to record beach and nearshore conditions (surfcams) has largely not been exploited for a similar purpose, principally because these cameras have not been calibrated. This project will create a publicly-available software tool which will transform surfcams within the WebCAT network into quantitative coastal monitoring tools through a remote camera calibration. The tool, which will use lidar observations to complete the remote calibration, will be tested and validated against a traditional calibration approach before online dissemination. 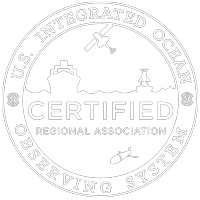 This project will help meet research objectives of multiple federal agencies and could benefit academic coastal researchers by increasing the number of sites for which coastal imagery usable for morphological research purposes is available.